We custom make your welding hats to provide safety and comfort. 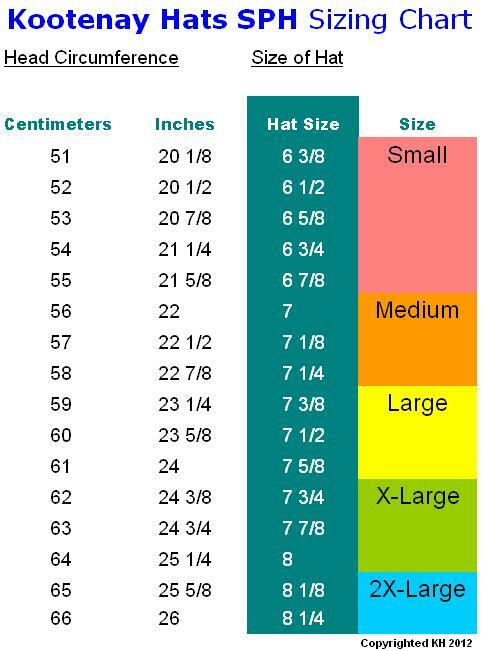 How to find your Hat size? 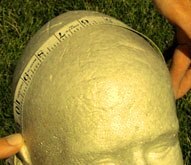 Simply wrap a tape measure (or a string which you can measure while laying flat against a ruler) around your head above your eyebrows, holding the tape comfortable and not too snug. If the reading is between 2 readings, select the larger size. There is a chance that our Sizing Chart will vary from other companies, so please refer to our Chart below to convert head measurements to the correct Kootenay Hat© size. Also, if you are absolutely sure of your hat size, we recommend you choose one hat size LARGER (e.g. if you wear 7 3/8, we suggest 7 1/2). Measure over the top of your head from ear to ear . It all depends on how deep you like your hat to fit, do you want to cover your ears? Or not cover the ears? In general, standard Low Crown is 13″. The picture on the left is showing a low crown of 12″ (measured above the ear top). But if you want the hat to cover your ears, you need to measure deeper. Usually, standard High Crown is 15″, designed to cover your ears and is recommended for welders. Please send us your measurement. And if you would like some other changes, just contact us and we’ll do our best to make the hats the way you specify.